karres+brands, in collaboration with SITE Urban Development and the Municipality of Schiedam, has been selected as one of five teams for the Open Call Designing Urban Centres organized by the Creative Industries Fund NL. We will concretise our proposal into a project plan using research by design in the upcoming six months. Our research proposal focuses on more future-oriented interpretations of small and medium-sized urban centers. In recent years the focus of social and political debate has focused mainly on the negative effects of vacancy. Action programs developed in that context are mainly facilitative in nature and aimed at symptom management with a focus on the short term. 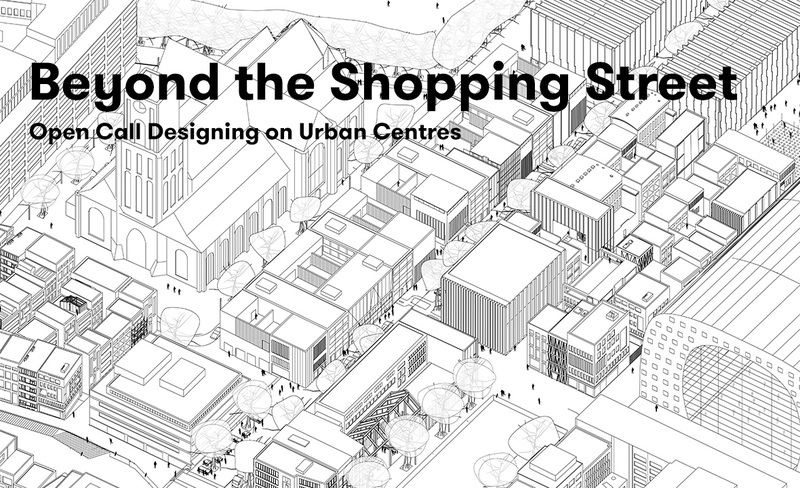 We believe that the (daily) issues of retail in inner cities is legitimate, but at the same time there seems to be too little attention to fundamental transformations, innovations and trends facing urban centers today. Our research focuses explicitly beyond the shopping street. In addition new transformation scenarios will be developed for the medium and long term. The current vacancy problem in Schiedam is already mapped out and we propose a parallel project in which the chances of vacancy are explored beyond the political discourse. The results will provide input for recalibrated centre- and residential vision and can be generalised into lessons for cities which are trapped in a strong region like Schiedam. Along with the worked out project plan a subsidy application will be done on the implementation of the project at the end of the year.